What do you expect to get when dealing with a car rental service? A vehicle in excellent condition? Or perhaps the availability of a professional driver you can rely on is more important? Some clients may also expect freebies. However, if you are a scrupulous client who wants to get all these together, you are welcome to 8Rental! We are the car supplier you have been looking for, as the best deals are made right here, on the website of our service. 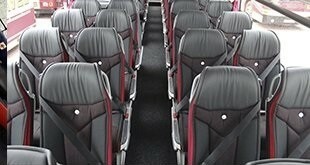 Choose 8Rental whenever you are to hire a bus with driver in Munich. Let's get acquainted. With many years' experience in the field of passenger transportation in Europe, as well as thousands of clients served, we have the right to say we earned our reputation! We deserve the trust and appreciation of our constant clients and those to become. The purpose of 8Rental is to make traveling in Munich, as well as any other European city safe and comfortable for all people. Regardless the purpose that drew our client to Munich, regardless his requirements, we are ready to do the impossible to have him entirely satisfied with our services! 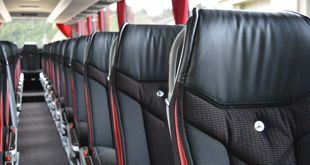 Try and rent a chauffeured bus in Munich now and you will agree with us - there is no better car rental service you could find! Our staff of drivers is composed of only qualified chauffeurs, who, besides the specific driving license, they also have years of experience in passenger transportation and spotless recommendations from their previous employers. Having one of 8Rental's drivers behind the wheel of the coach you book, you can be entirely calm for your and your passengers' safety. What you will like when hiring a bus from 8Rental is how well they know the city's roads. They find the direction so easily! Besides, 8Rental has employed drivers which speak other languages, too besides the German language. So, there can be practically no misunderstanding between you and your driver. 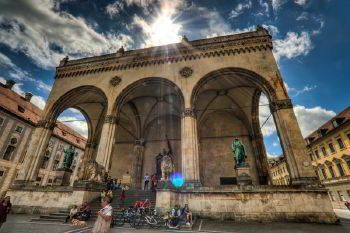 Hire a chauffeured bus in Munich and your group will be met just at the airport! Are you welcoming a huge group of important guests from abroad? If this is your case, 8Rental suggests booking a Mercedes Tourismo VIP. This luxury coach will make any driving utmost comfortable and enjoyable. It is equipped with such amenities as a toilet, a small kitchen with a fridge, a coffee machine, a minibar (optional for an extra charge), air conditioning, central heating, and so forth. The bus looks fantastic! However, if your budget is not enough for hiring this model, you can stop your choice on the standard variant of Mercedes Tourismo. Like the VIP model, this one, too is designed for driving up to sixty-five people. It is well equipped and will drive comfortably along Munich's roads. 8Rental also has wonderful options for smaller groups. Its Mercedes Sprinter (both standard and VIP variants are available) coach will accommodate around twenty-four passengers. The vehicle features comfy seats, audio system, safety system, air conditioning, and other specifications. By the way, by booking a coach from 8Rental, the company will provide the fuel. This won't cost additional money. The pricing system of 8Rental is transparent and clear with no hidden fees! Munich has so many amazing sights to offer its visitors! Despite the fact that this wonderful city was destroyed by the two world wars, quite much of the city's initial look was restored. Now it attracts visitors for its unique tasty beer and a number of fascinating sights. And if your guests would like to have a huge glass of cool German beer before exploring the city, take them to Hofbrauhaus. Once they are done with this bar, its' worth taking them to Marienplatz, BMW Museum, Hitler and the Third Reich Munich, Asam Church, Nymphenburg Palace, St. Peter's Church, Isartor and others. 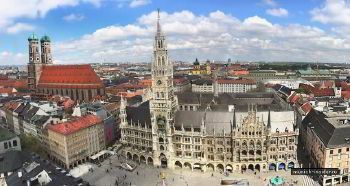 Make the traveling in Munich unforgettable and comfortable for your guests with 8Rental!